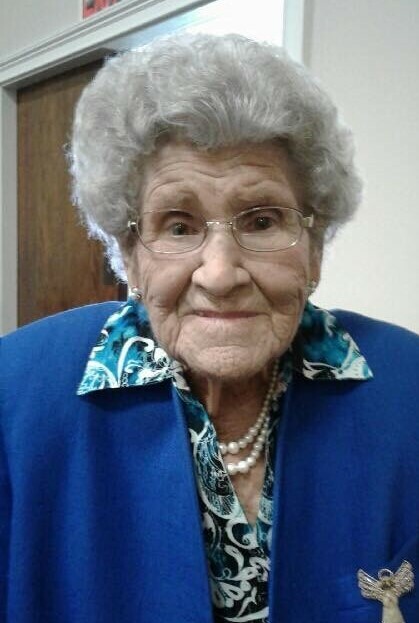 Margie Lee Hughey, 87, of North Little Rock passed away Tuesday, April 9, 2019. She was born October 9, 1931 in England, Arkansas to James and Josie Charles. She retired from Maybelline and was a charter member of Cornerstone Worship Center. Margie loved to sing, was known for her coconut cake, biscuits and chocolate gravy. She is survived by her sons, Ronnie Hughey (Donna), Donnie Hughey and Danny Hughey (JoAnn); daughter, Beverly Bailey; seven grandchildren; fourteen great-grandchildren; four great-great-grandchildren; brother-in-law and sister-in-law, Lloyd and Judy Hughey; and many extended family and church family. She was preceded in death by her parents; husband, Charles C. Hughey; brother, Carroll; sisters, Ines, Ima Lillian “Bid” and Mary; and grandson, Ronnie David Hughey. A visitation will be from 6:00 to 8:00 p.m., Friday, April 12, 2019 at Cornerstone Worship Center, 301 Campbell Road, North Little Rock, with a funeral service at 10:00 a.m., Saturday, April 13th at the church. Burial will be in Mulberry Cemetery. Memorials may be made to Cornerstone Worship Center, P.O. Box 17084, North Little Rock, Arkansas 72117.